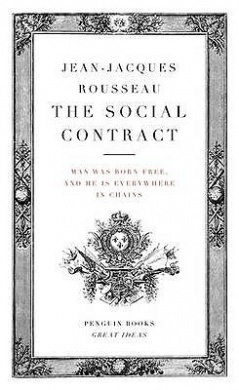 Jean-Jacques Rousseau, The Social Contract. This is the ‘in my pocket book’ of choice at the moment. I’m re-reading Rousseau in an attempt to see if I can apply his inquiry into ‘political society’ to an understating of small group dynamics. Much of Book I seems to resonate with my emerging views about individuals and small groups as collaborative learning ‘communities’, which is encouraging. In Chapter 9, Rousseau discusses ‘Property’. If one reads property as that which is possessed or produced (‘goods’) by an individual and group (‘community’) we can see property as perhaps a social capital of knowledge, understanding, skill. In Book II Rousseau outlines his thoughts concerning ‘political’ structure and associated power. Again this can be read as the politics of small groups and not just as Nation States. ‘But if groups, sectional associations are formed at the expense of the larger association, the will of each of these groups will become general in relation to its own members …’ In this I recognise the idea of in-group factionalism and the role this can play in breaking down the cohesive nature and with that the most effective state of collaboration. As the whole breaks into its parts deagentification of individuals is possible and with this the destruction of a state of collaborative group learning.